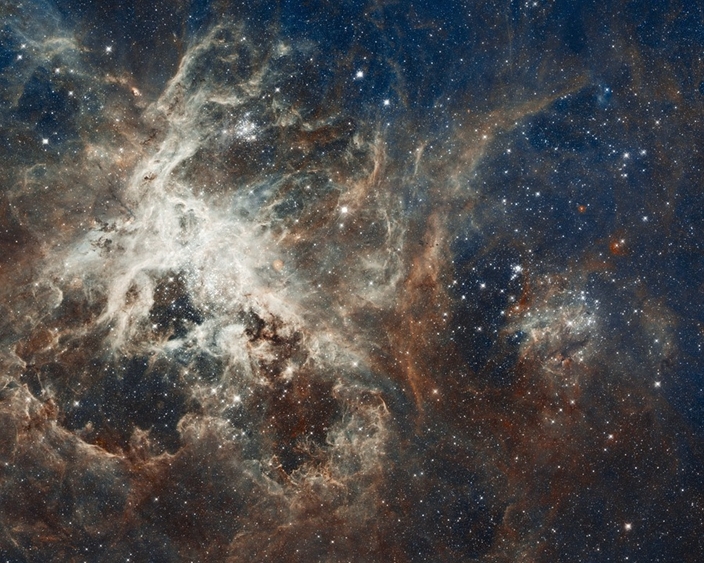 The photograph shows dust, gas and bright young stars gravitationally bound into the form of a grinning skull. 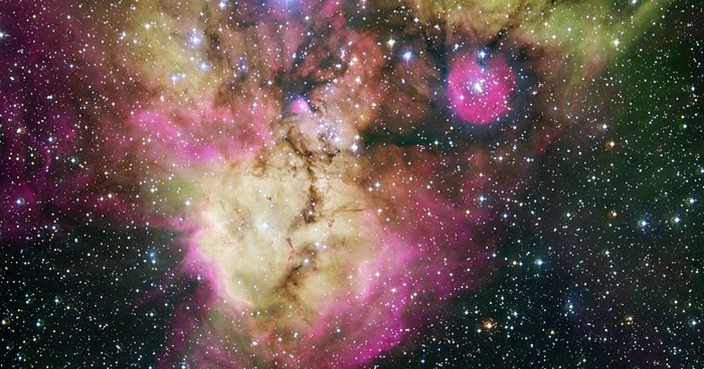 A new image of the cluster of stars making up the “pirate of the southern skies” has been revealed. 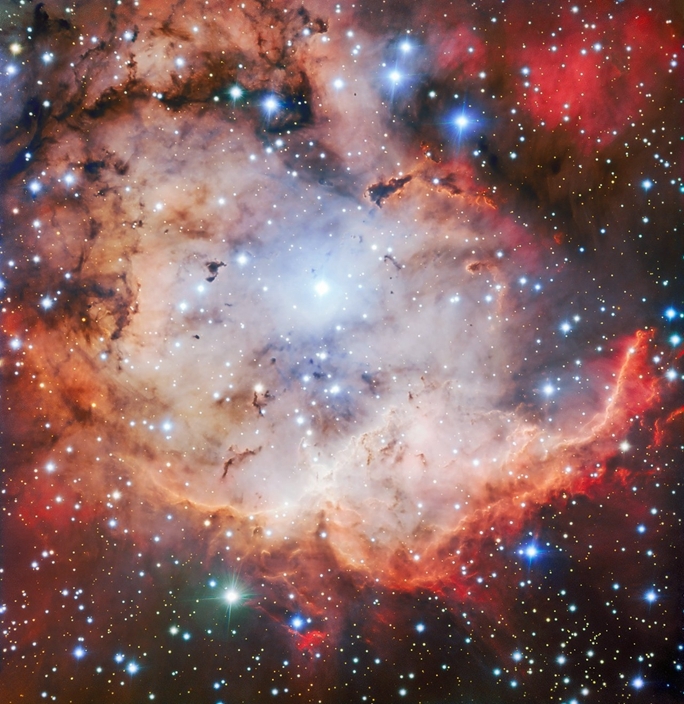 The nebula, which resembles a grinning skull and crossbones, is made up of dust, gas and bright young stars. 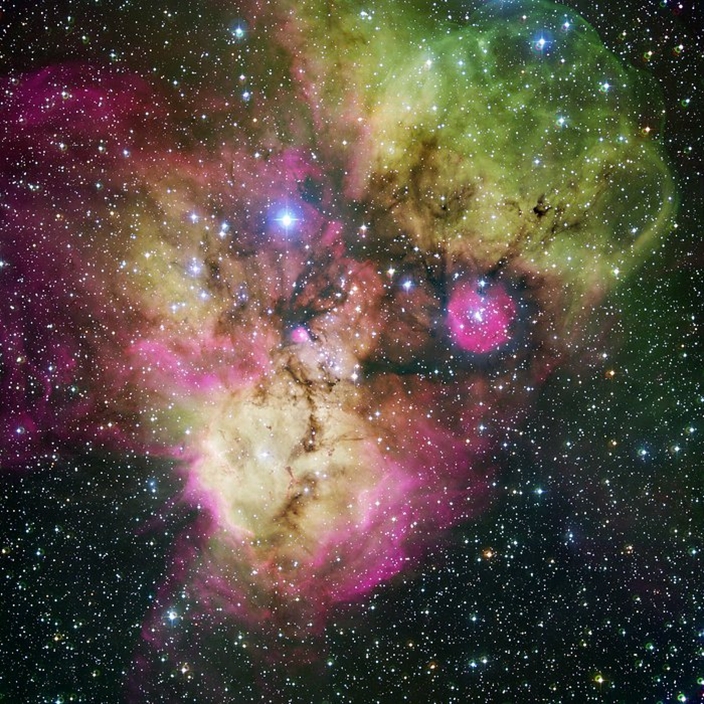 More formally known as the NGC 2467, it is “as sinister as it is beautiful” according to the European Southern Observatory (ESO), the intergovernmental astronomy organisation. The organisation took the latest picture through a a Very Large Telescope (VLT) as part of an outreach initiative to produce images of interesting, intriguing or visually attractive objects. It hones in on the gaping mouth of the “skull”, an active star-forming region. The ESO said: “It is only a fortuitous alignment along the line of sight from the Earth that makes the stars and gas form a humanoid face. 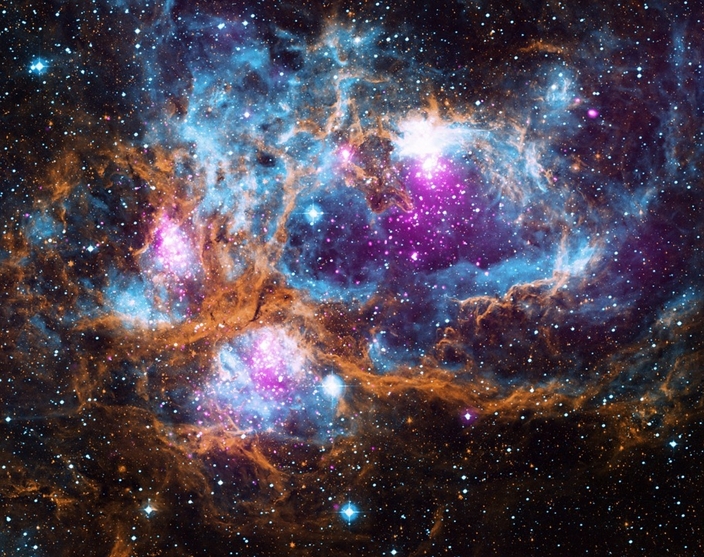 The nebula is part of the Puppis constellation – the birthplace of many stars due to an excess of hydrogen gas.